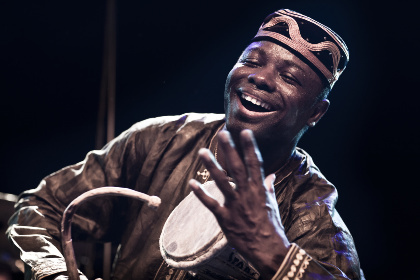 2011 saw the return of Justin Adams to the WOMEX stage – he'd played with us numerous times before in different guises, and here he was a member of JuJu (UK/Gambia). 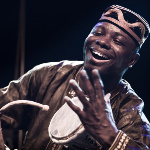 This was based around the blues/rock guitarist's collaboration with the Gambian riti (one-string fiddle) player Juldeh Camara. The group have since gone on to make up Robert Plant's Sensational Space Shifters. In today's 20 Years Time Machine, we listen to JuJu's 'Nightwalk' – such a dark blues groove that perfectly fits with Camara's riti and Fulbe vocals. Click on the link, have a listen to this, and have a rock out to one of the most exciting fusion/collaborations of the last few years!